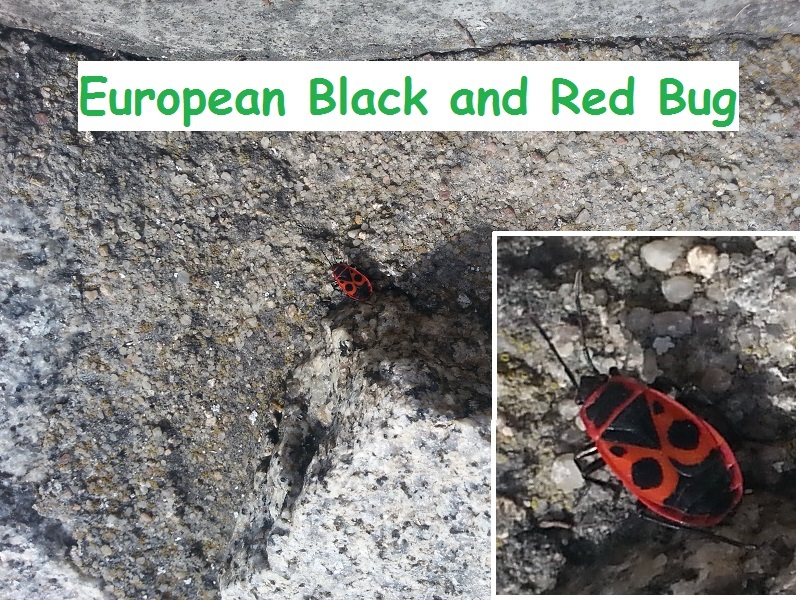 Today I saw a black and red bug for the first time. I’m being very specific when I say this because my research suggests “black and red bug” is the insect’s official name. The Latin name is Lygaeus equestris. The only black and red bugs I ever saw in the UK were ladybirds. I haven’t seen one of those in quite a while but I’m sure they have them in other European countries as well. The town I’m living in at the moment is very beautiful. It’s called Poděbrady. I was walking along the riverside admiring the view and happened to glance down at the ground. The red parts of the bug were so striking it caught my eye. The fact that it was moving probably helped draw it to my attention as well. I never found any lists that say this bug is present in the Netherlands, but it’s in all the countries that surround the Netherlands so it seems probable it will be there as well. Having said that, I lived in the Netherlands for over two years and never saw this species of bug. I’m not an expert on insects so if you feel I’ve wrongly identified this colourful little bugger, please feel free to let me know in the comments section below. I Looked, but I Didn't Touch. I Think I Found a Cuckoo Wasp!